I love pretty home accessories. A lamp here, a pillow there. It all comes together to make a house into a proper home. These little touches can make such a difference. And seeing all that was on offer at the Scotland Re:Designed Interiors Showcase made me instantly want to up my home style game. 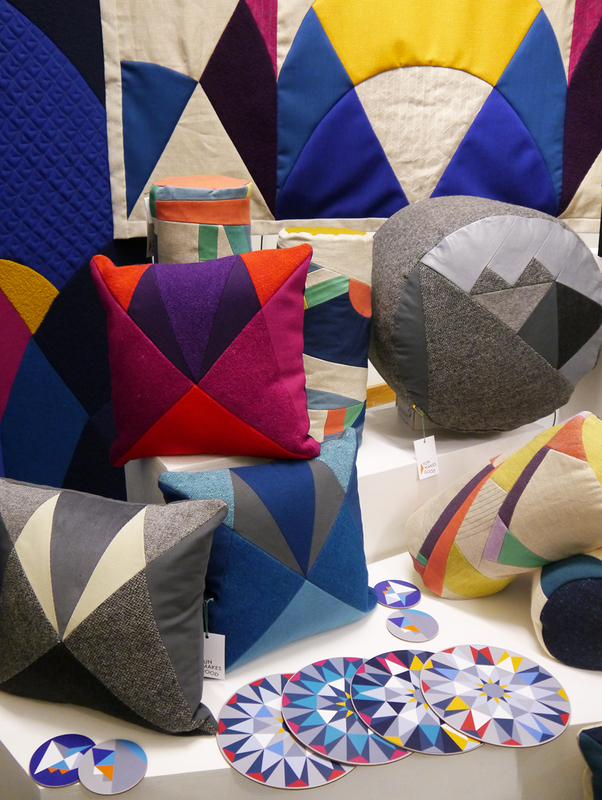 Featuring the best and brightest of Scotland's designers and makers this showcase was filled to the brim with interiors inspiration and items to covet. From established independent brands to new graduates there was plenty of local talent on show. Here's a look at some of my personal favourites from the inagrual event. Colourful geometric designs catch my attention every time. 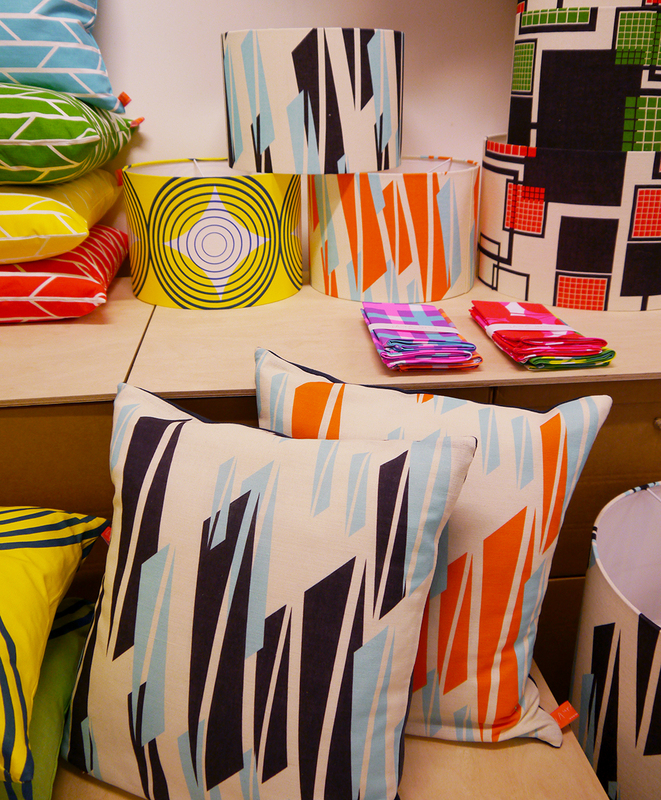 From coasters to cushions I loved all of Fun Makes Good's collection. 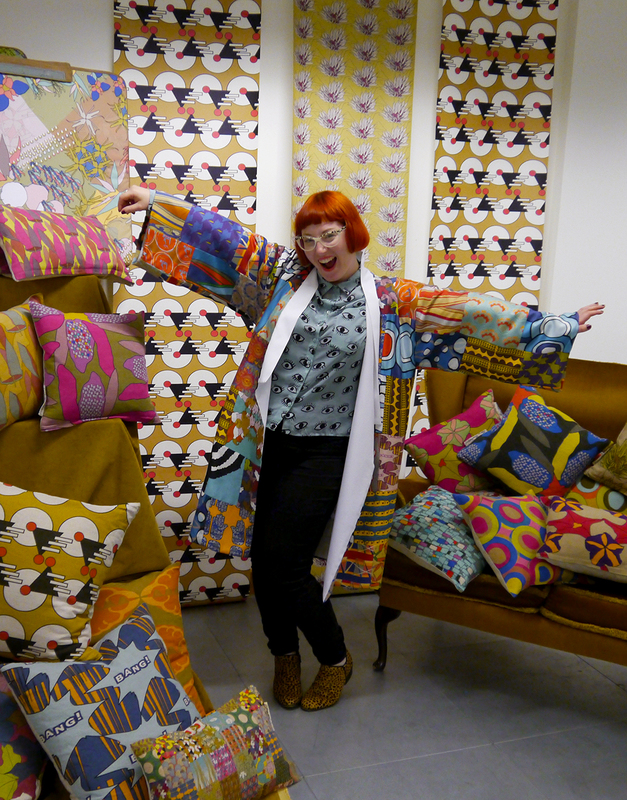 They re-work unloved items into fun homewear and know how to bring patchwork bang up to date. Special mention has to be given to their fabulous pouffes. I want one in every corner of my home. 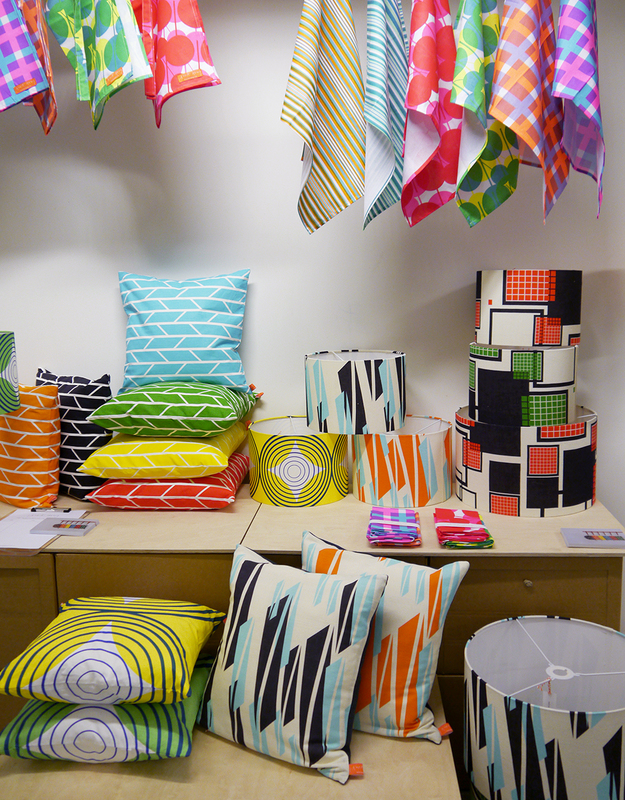 More gorgeous colours were to be found at Hatti Paterson's stand. 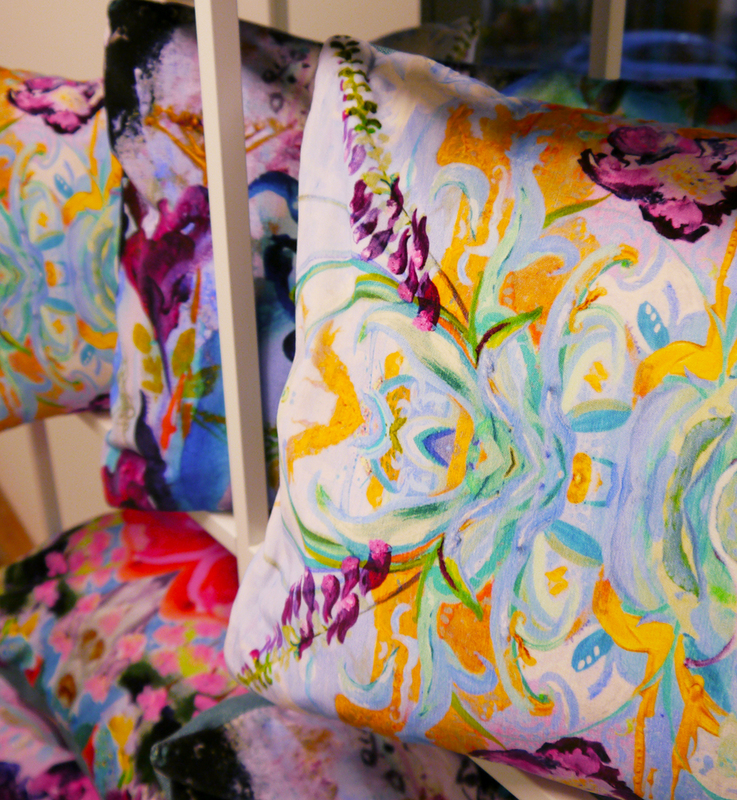 She turns beautiful paintings into even more beautiful fabrics. It was amazing to see how they looked on different textiles. From silk to velvet the textures were just stunning. Some of them were even finished off with metallic brushstrokes to make them extra luxurious. Now if you're looking for bright, Laura Spring is your gal. 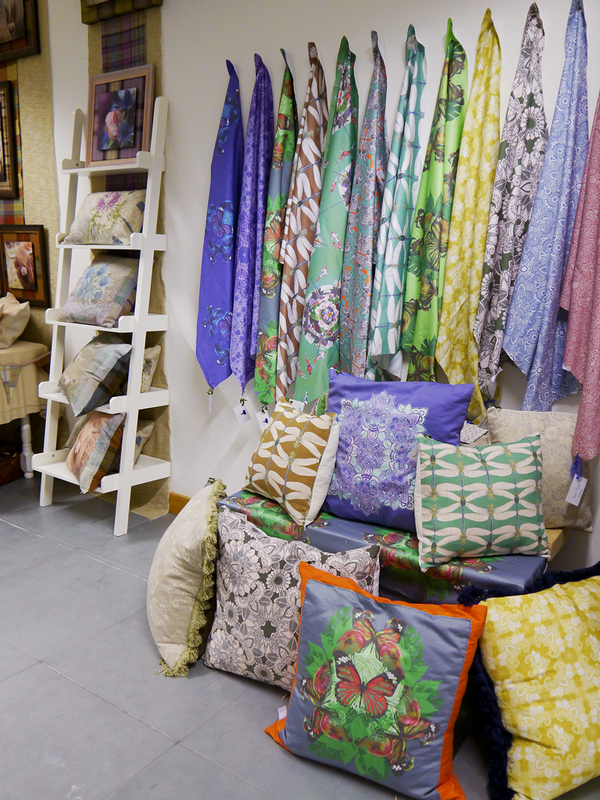 Being more familiar with her fabulous bags and holdalls it was great to see her colourful interior pieces. 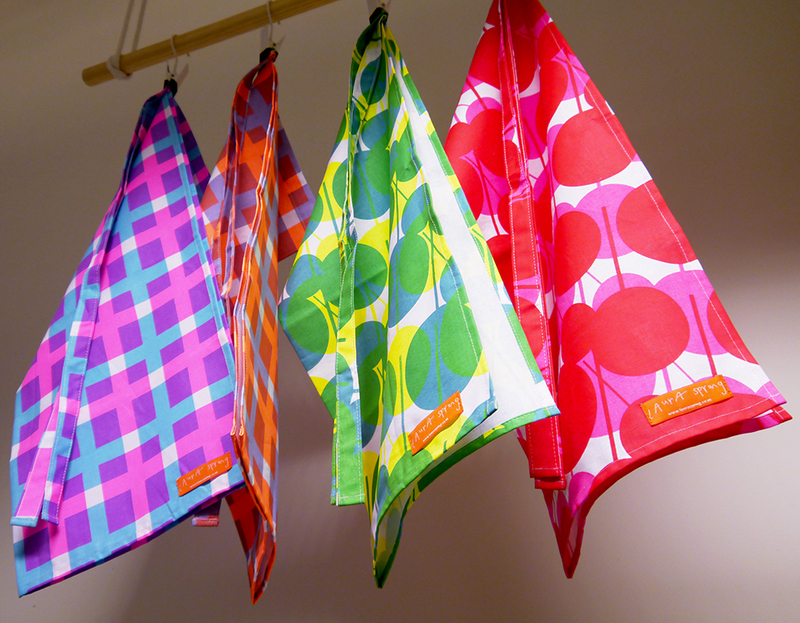 Those neon tea towels would make drying the dishes much more fun. Textile designs featuring bugs may not be top on everyones list but I love a touch of creepy in my home decor. 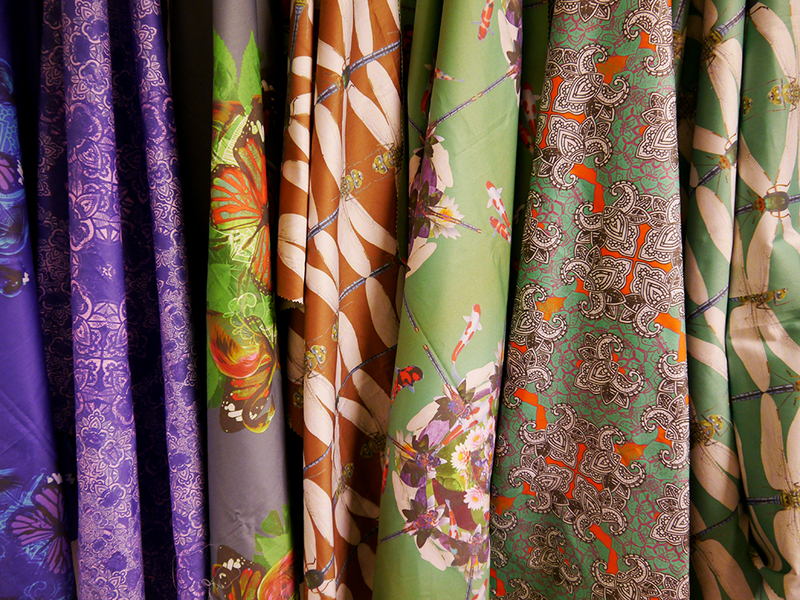 These layered designs build up subtle details to create fabulous over all prints. The colour combinations, butterflies and flowers add some additional pretty into the mix. 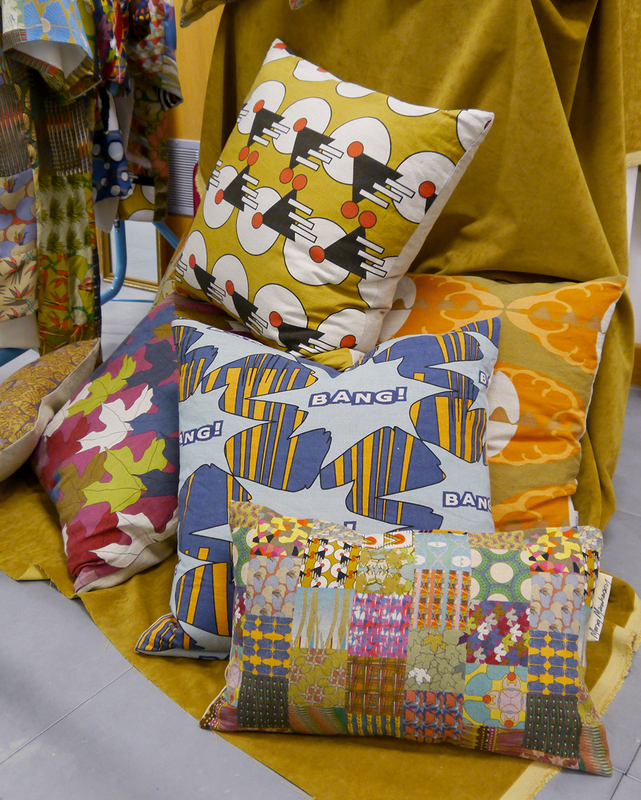 My absolute favourite from the showcase had to be Morag Macphersons patchwork designs. 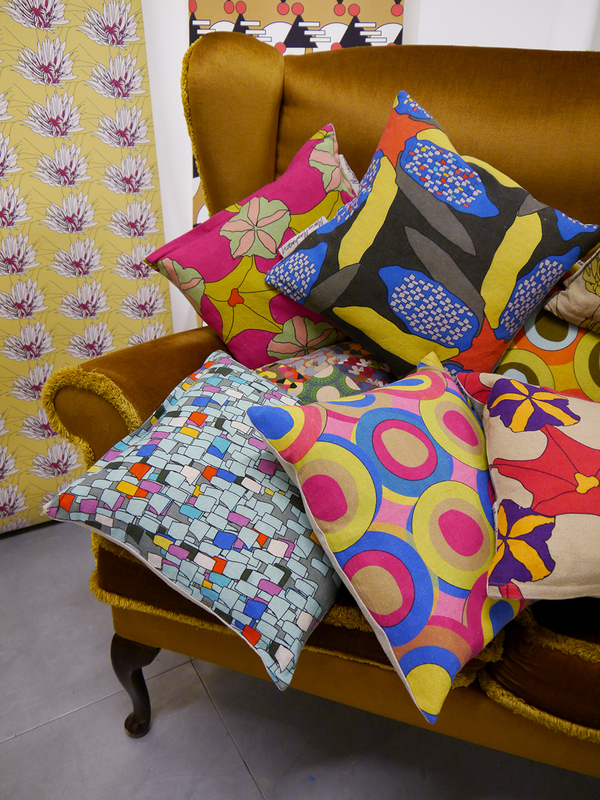 I loved the full on 70's colour pallet and mix of prints. The bang cushion is top of my list. But what I really fell for was the fact she sneaked in some fashion pieces in the form of these gorgeous kimono's. They would make the prettiest house coats.